Wednesday December 26th 1883 We got around in very good shape this morning and Charlie and I went to town before noon. We stayed till after dinner and brought Edith home with us in the sleigh and Charlie and Lee took her back when they went to the four oclock train as C went home today. I washed out a few napkins in the evening. Went to bed early. 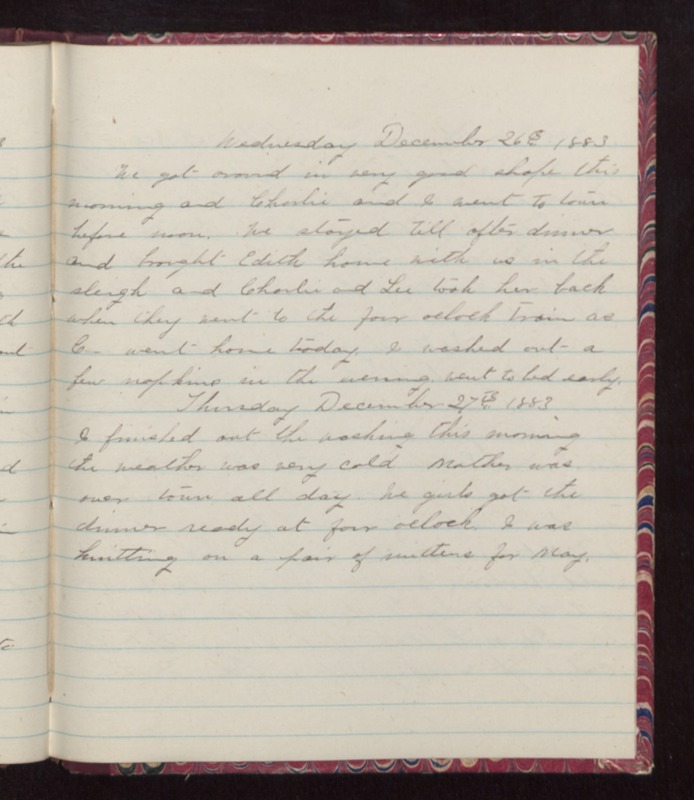 Thursday December 27th 1883 I finished out the washing this morning. The weather was very cold. Mother was over town all day. We girls got the dinner ready at four oclock. I was knitting on a pair of mittens for May.